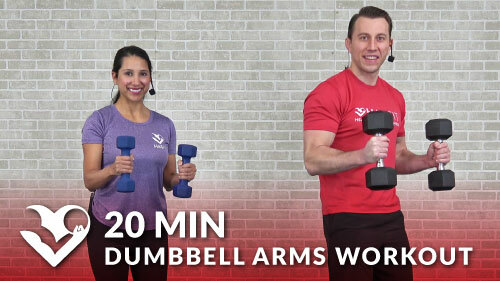 Burn out your biceps and triceps using just a pair of dumbbells with this 5 min arms workout! This routine can be performed on its own or in combination with any of our other workouts. This is a great routine for both men and women.